Soak up sun, surf and local culture at our beachfront resort, just 20 minutes from Sayulita and 10 minutes from Marina La Cruz. The Marietas Islands, a UNESCO MAB Biosphere Reserve, are just 25 minutes by boat and seaside villages famed for their crafts are also nearby. Revel in signature cocktails and original dishes at our six dining venues, including the exclusive Mesa 1, located on a private island. 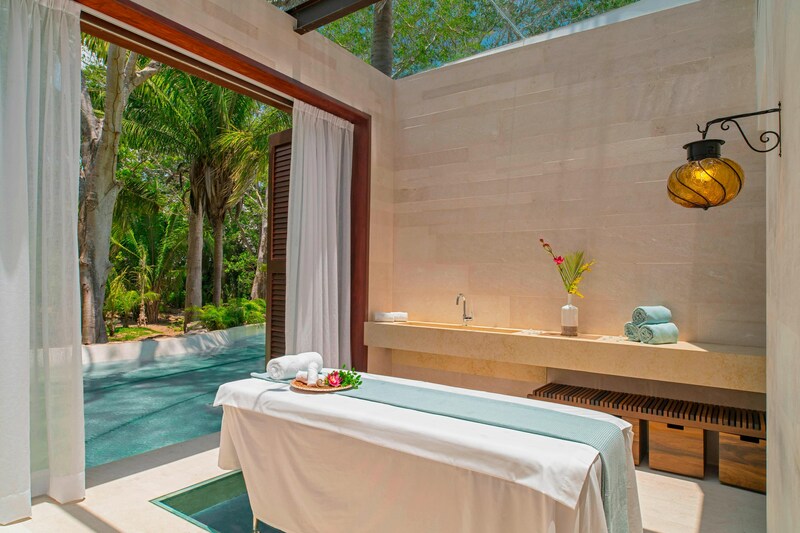 Sip a mojito on the Huichol-inspired WET Deck, detox at AWAY® Spa or recharge at FIT. Then steal the scene in glam cabanas on our semi-private, white-sand beach. Lounge in our 119 original guest rooms, including 13 suites. Showcasing a private balcony or patio with ocean or jungle views, each bold space mingles a signature W Bed, High Speed Internet Access and a separate bath and shower stocked with Bliss® sinkside six bath amenities. 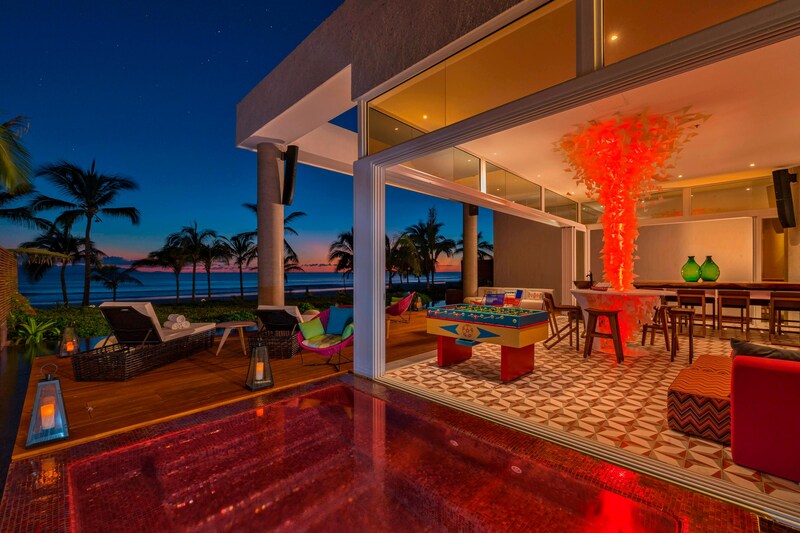 Perched on the ocean in the heart of one of Mexico’s most gorgeous beaches, W Punta de Mita invites you to immerse yourself in a truly remarkable hotel experience. Colonial grandeur blends seamlessly with the extraordinary artistry of the indigenous Huichol peoples. Own every moment of your Mexican escape in our two-bedroom Extreme Wow Ocean Front Oasis. Located beach side and surrounded by tropical greenery, it places the glittering ocean in the limelight from a panoramic terrace with a Jacuzzi. 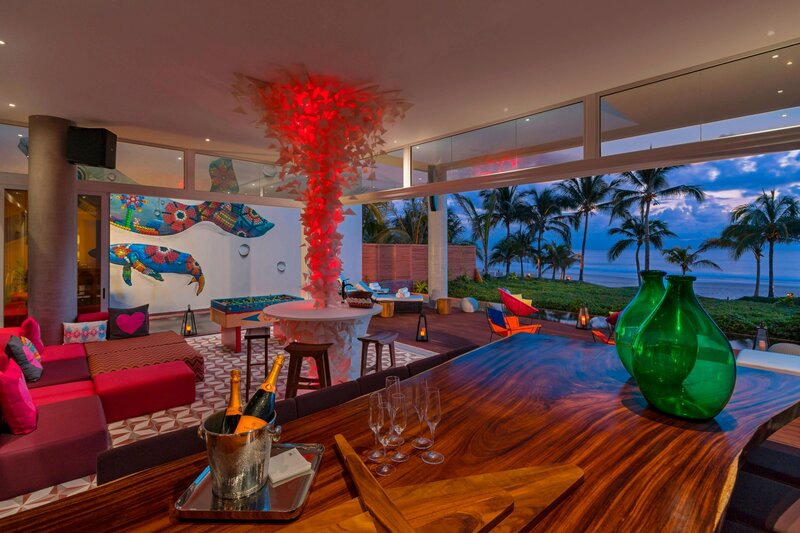 Backed by a creative wall mural showcasing whales, it invites you to soak up extreme sunsets over the Pacific Ocean. Set yourself up for a full-day pool session at WET®. 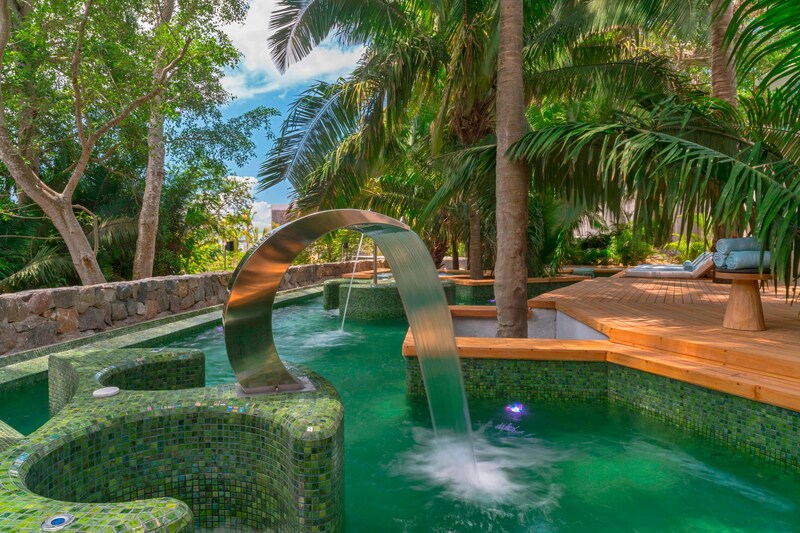 Our shimmering outdoor pool overlooks the beach and is accessible from the Living Room via the bright blue and green mosaic “Camino Huichol” walkway. Featuring over a million tiles, the footpath honors the area’s indigenous Huichol people and stretches nearly 460 feet, past restaurants and through the Living Room, leading to the center of WET Deck and continuing until it meets the beach. Detox your body and refuel your spirit at AWAY® Spa. 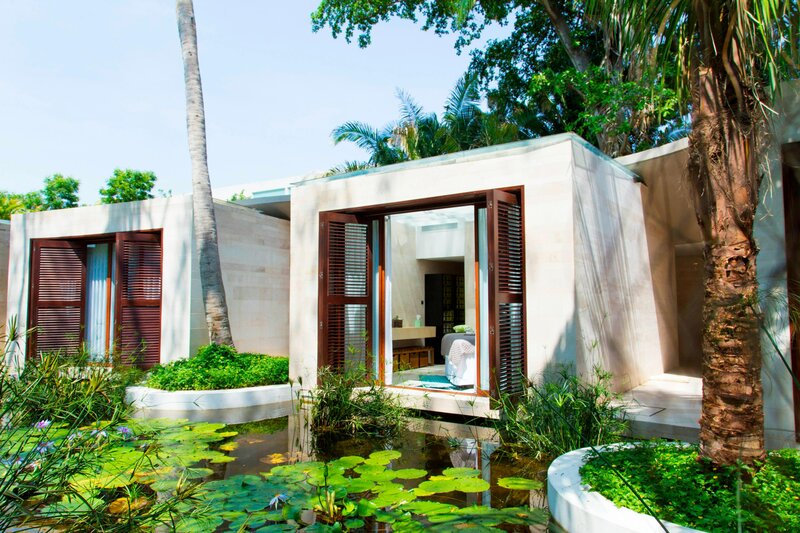 Tucked within the jungle on the first floor, our nature-inspired spa is designed as a peaceful forest refuge. 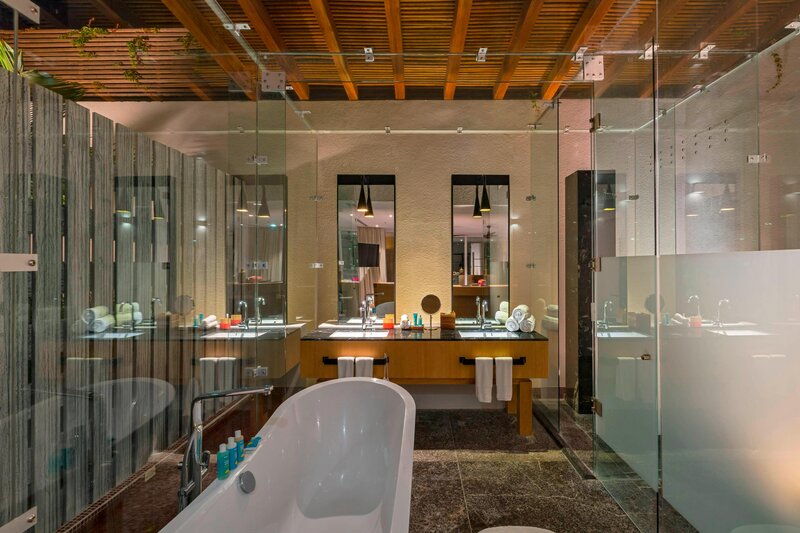 Feel your tension melt away as you spoil yourself with a massage or treatment at our peaceful spa. Choose one of our spa packages, and re-center your body and spirit.